I made a SID tune together with Dane of Booze Design. 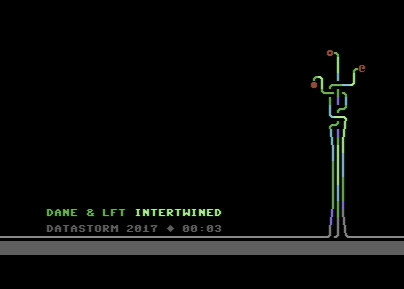 It ended up on 2nd place in the C64 Music compo at Datastorm 2017. Enjoy! While doing this collaboration, we were located in different time zones, so we would pass the file between us twice a day and wake up to new changes. Here's the CSDb page for Intertwined.